Shrinking Cities are an increasing international, ‘end of era’ phenomenon. Over recent decades, globalization has been concentrating resources, key infrastructure and intellectual assets in ‘global cities’, which act as magnets for population and skills. The gradual shift towards a new global economic order has resulted in a new system of global production, manufacturing, distribution and consumption that has led to new urban forms made possible by the logistic and new technology revolution. Simultaneously, other towns, cities and entire regions are experiencing the outflow of capital and human resources, and are suffering from a lack of entrepreneurship and low levels of innovation and intellectual engagement. Cities whose development were based on a single industry, or on the concentration of an activity in a single sector, have been particularly affected by these globalization processes and, as a result of increasing competition on an ever-wider scale, certain cities are losing out. 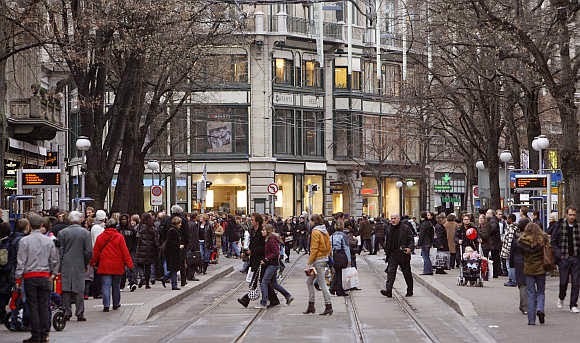 The development and decline of cities and city centres have, since the Chicago School of Urban Sociology, been viewed as a natural process whereby urban change results from a lifecycle that ends in inevitable decline. (IJURR – Shrinking Cities : urban challenges of Globalization). There are currently about 7.1 billion people living on the planet. In 2009, the number of people living in urban areas (3.42 billion) surpassed the number living in rural areas (3.41 billion) and since then the world has become more urban than rural. This is currently the first time ever that the majority of the world's population lives in a city. Cities are continuing to attract residents, though some continue to lose residents at varying rates, such as Detroit, Michigan and Cleveland, Ohio. Global cities theory forecasts the urban "winners" and "losers": the winners being those cities with agglomerated financial and specialized services and the losers being those with outdated industrial infrastructure and manufacturing economies. With the increasing twin phenomenon of urbanization and globalization, cities will face this issue of shrinking population and economy at more frequent rate. The city authorities have to work in such a way that it provides zeal and liveliness to its inhabitants and not just for the purpose of earning and survival. For instance, Delhi is being developed at a rapid pace and that too in all directions. There has been a lot of public and private investment in the last few decades in the city developments. But, if the city fails to provide in with the living values, a human being deserves, the population will slowly start vacating their place of inhabitation over a period of time, say the next generation and the population will start shrinking. It has many aspects related with it. Firstly, the level of opportunities and the quality of life of the other cities play an important role in the whole process. For instance, if Jaipur or say Lucknow starts providing fair amount of opportunities and facilities plus the quality of life is also better comparatively, then the population living in Delhi will have an option to go with. Secondly, level of awareness amongst the population also plays a significant role in the entire phenomenon. If they really don’t know or care about the quality of life they live in, then they will continue doing so. There are many other factors related with it as well. The disappearance of skills, knowledge and innovation as those more able leave for the more prosperous cities acts as a silent killer and the local knowledge base which was responsible for innovations in science and technology starts becoming unknown. This has been a phenomenon happening especially in the developing nation’s population and the respective governments and authorities have to start looking into the matter deeply. The precautions which can be taken to curb out its effect – the vision has to be long and distributed well among the factors involved in the planning and development of the urban settlements. One has to look within the disciplines to create this vision a success. For instance, hyping a specific city and over burdening its entire system – as in case of Delhi should be carefully looked within. The self-sustenance of the cities should be discussed widely. Shrinking cities have their economic cost and it affects the nation’s economy at large. Excellent post. It also needs some vision on the part of our leaders to plan these. If the Govt takes some steps i am sure our cities will rival those in the west! City and Political leaders in this aspect play a very significant role as they act as the guiding lamp to the whole process of development. No state/nation can prosper in real sense without their leaders/authorities understanding the process at a wider aspect looking at the ever increasing complexities of the urban settlements. The situation and issues of the developing world in this context are far more different then are perceived parallel with the urbanization process of the developed world generally. With reference ti Delhi,his observation is more appropriate.At the end he mentioned about awareness and/opportunities which will force the people migrate.The classic example is IT boom and realty boom in Tamil Nadu and Karnataka. most of the semi and unskilled laborers from north and north west migrated to south India as a whole.The backward states with better telecommunication spread the news and people migrate.However in Indian context the elders stay put in their villages and do farming.